The first sale of 2019, on March 21st with free-to-access viewing the day before, will see Dorset Vintage and Classic Auctions move to Henstridge Airfield, where a new clubhouse has lifted the facilities at the venue first used way back when DVCA held its second sale. 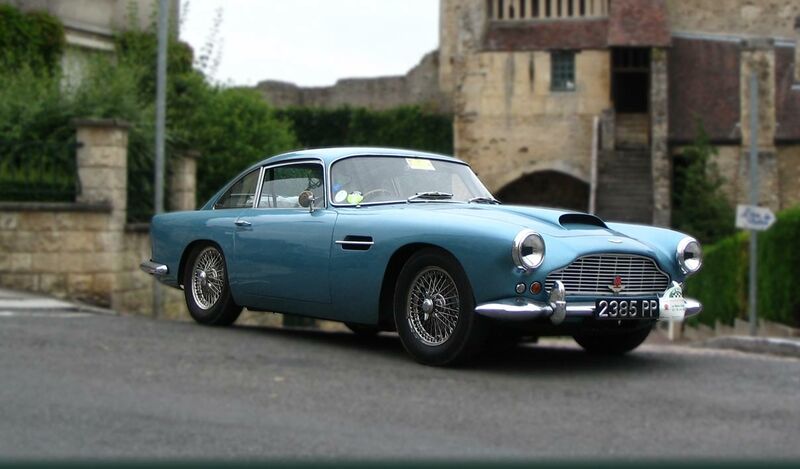 This summer will see the auction house notch up its 50th sale in a year when there’s much to interest classic vehicle enthusiasts. The DVCA mix dates back to 1904, when the Oldsmobile 5hp Curved Dash Runabout (guide £50,000-£55,000) was built, setting the historic benchmark for a catalogue that includes a number of early 20th Century cars. 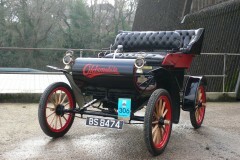 The Oldsmobile completed the latest London-Brighton veteran car run last November and is unusual in its ability to have extra passenger seats added at the rear, making it easy to share this unique experience! Not much younger is the Darracq 10/12 hp Two Seater (£25,000-£35,000) which ably illustrates how a mere three years brought a huge advance in the design of early 20th Century cars. 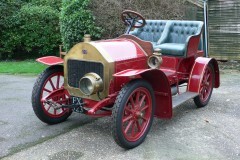 Not long after World War 1, in 1921, the Jouffret Four Seat Tourer (£25,000-£35,000) was built – this car is the only known example of this maker that was in business for just six years from 1920. Moving on to 1930, and the Austin Seven RK Fabric saloon (£7,000-£8,000) went on the road. Five years ago it had a body-off rebuild and it comes with history and spares. By the 1970s, there was a strong desire to replicate the style of 1930s cars if not their mechanical components, giving rise to models such as the 1977 Royale Drophead Coupe (£20,000-£24,000) factory-built around Jaguar luxury interior and mechanical components, including a 4.2 litre XK six cylinder engine and automatic transmission. Thoughts of summer prompt cerebral temptations to search for open top cars and the March catalogue has no shortage of these. Among them is a 1990 TVR 350SE special edition (£4,000-£6,000), one of only 24 thought to remain of the original 26 created to mark the end of the distinctive wedge profile TVRs powered by Rover-sourced V8 engines. Many buyers with similar dreams are naturally drawn to MG and the sale includes an Oselli-engined 1976 MG B Roadster (£6,000-£7,000), one of the first rubber bumper cars that has undergone an extensive rebuild and programme of modernisation that ended with a rolling road set-up session and the addition of a new hood – perfect for zooming to the nearest lay-by to make the car weatherproof during the inevitable summer shower! Equally appealing and suited to a possibly tighter budget is the British Racing Green 1976 MG Midget (£4,000-£5,000), another early rubber bumper car featuring the popular 1,500 cc engine that has undergone sympathetic restoration. Rugged ambitions for summer motoring off-piste may well draw potential buyers to a 1956 Land Rover Series 1 88 inch (£8,000-£10,000), just out of 30 years’ storage but ready for use after recommissioning from a new owner who may well find its originality more appealing than a restoration. More left field for off-road enthusiasts is the 1976 Toyota Land Cruiser (£2,000-£3,000) in the middle of a restoration which should promise a considerable uplift in value when completed, although it’s almost ready to drive in its winch-equipped, Jeep open-style current format. Probably the most genteel postwar car in the sale is the 1959 Armstrong Siddeley Star Sapphire (£30,000-40,000) that has had an extensive and painstaking restoration at an estimated cost of £85,000 while part of the Smalley collection. Equally elegant but more modern luxury is offered by a 1998 Mercedes-Benz E240 Elegance saloon (£3,500-4,500) that has just two owners from new who have only put 61,100 miles under its wheels between them. Completing the lots at present – the catalogue is still open for more entries – is a 1994 Honda Legend Coupe (£2,250-£3,000), a luxurious and stylish two door with an automatic gearbox coupled to the 2.7 litre V6 engine that also helped keep Rover’s luxury car hopes alive in the same era. “The appetite for interesting cars seems to be alive and, judging by our November sale achieving a world Top 50 auction price with the Jaguar E Type entry, catching the eye of bidders in Dorset,” says Brian.